Walk-In Investigations-Streaming Sarah. | Joyce Kostakis feeling inspired and brave enough to write. 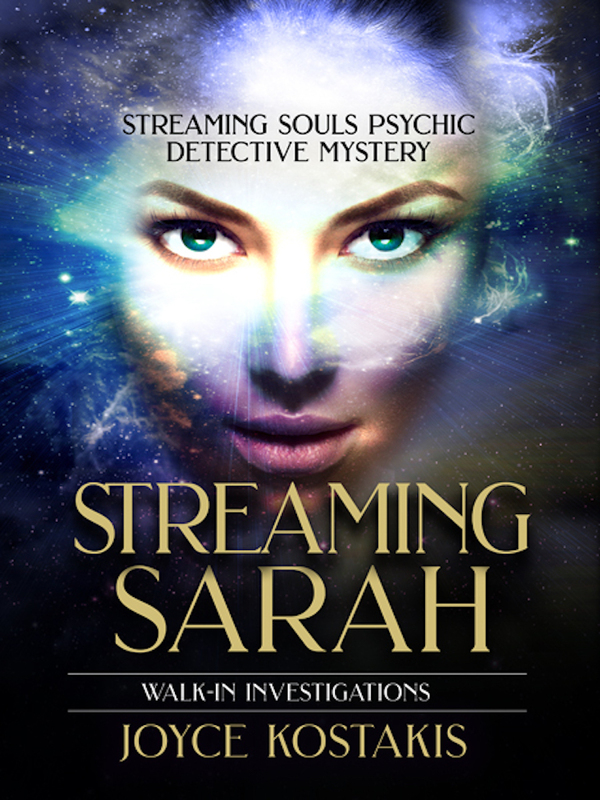 Walk-In Investigations, Streaming Sarah is a paranormal detective mystery. Or so she thought. Homicide Detective Katie Hanson prided herself on being an advocate for the dead. When she returns home from the hospital after a near-death experience, she realizes the door to the spirit world remained open… wide open. Now she hears voices, sees things that are not there, the murder victims of her Department’s cold cases are haunting her, beginning with Sarah Alexander and her two children. As Katie navigates the waters of being a medium in search of the truth behind Sarah and her children’s horrific murder, she finds that she is also able to see into a parallel world, where her doppelgänger P-Kate helps her learn to stream Sarah’s consciousness, her memories, her very soul. Thinking she is on the edge of the truth, Katie realizes that a dead person’s memory of the events can be as flawed as the living: Sarah’s testimony does not match the evidence. When a channeled spirit highjacks Katie’s body, her psychic friend Vicky hosts Katie’s spirit in turn, and they race against time to not only solve Sarah’s case but also retrieve Katie’s body. I hope you enjoy the sample chapters.